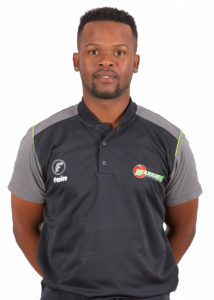 Sithembile Langa, was born in East London, where he first played cricket in the backyard with his friends. Langa has played for Border Under-17s and the Warriors cricket team. He is a right-arm fast bowler who made his Warriors debut in his home town against the bizhub Highveld Lions, taking 3 wickets. Langa credits this as his most memorable cricket moment. If he wasn’t a cricketer, he would be a social worker because he has a strong passion for helping others. Off the pitch, Langa enjoys catching up with his friends, spending time with his brother and eating his favourite food, mutton stew with rice which he says his mother makes best.